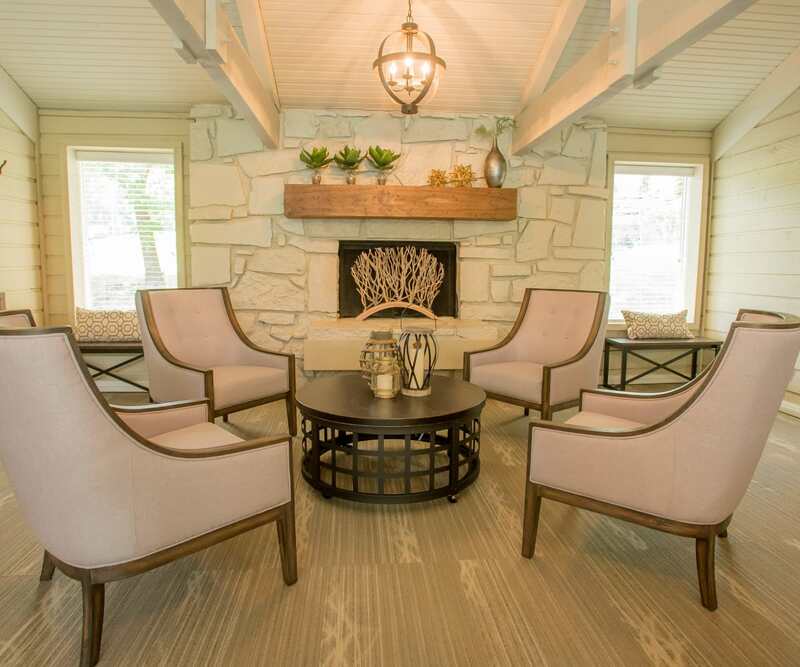 Charm meets comfort at Country Hollow. 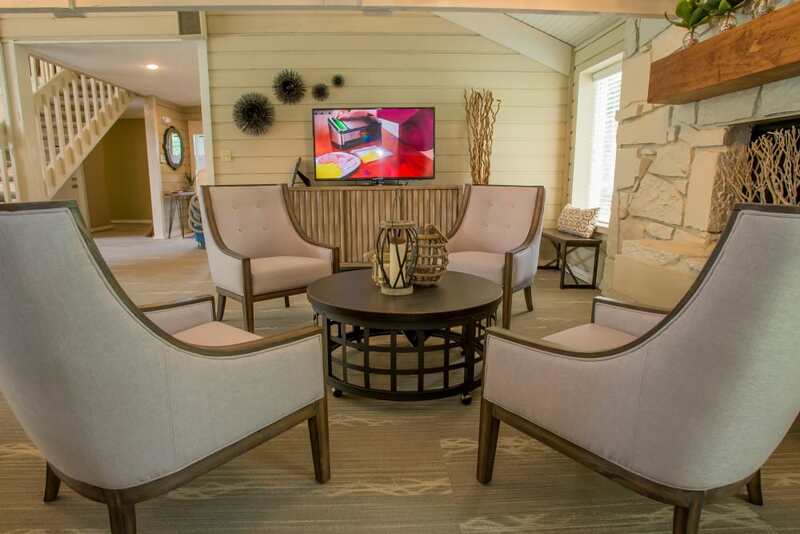 Our junior, one, and two bedroom apartments for rent in South Tulsa, OK, are tucked in a tranquil, park-like setting. 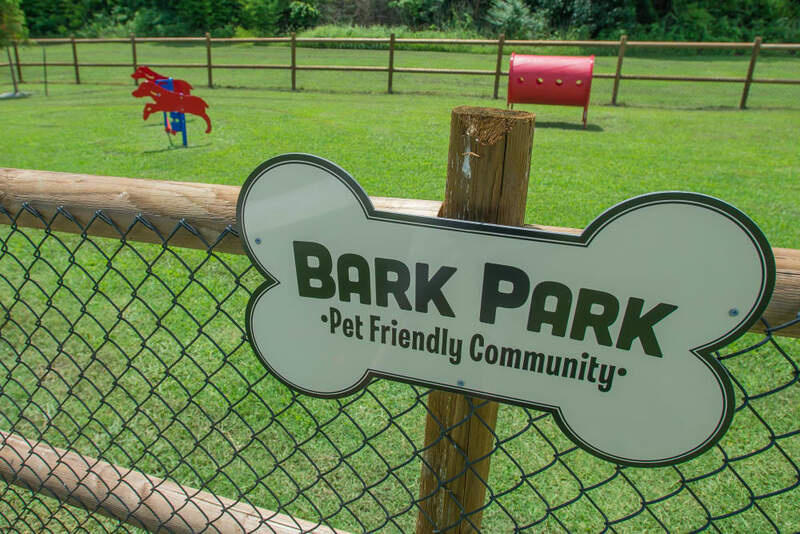 Beautiful, tree-lined grounds feature lush landscaping and an onsite jogging track. Our peaceful location puts you close to a number conveniences. 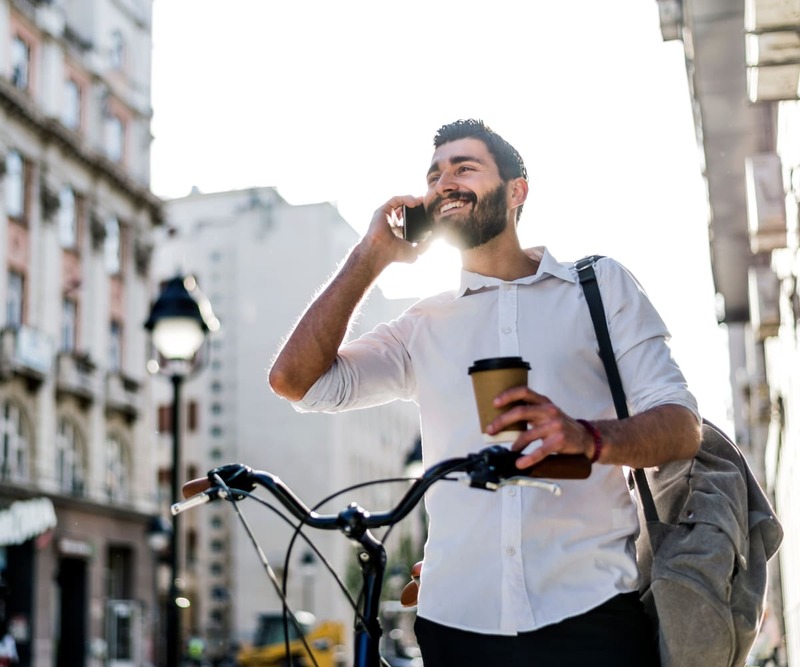 Oral Roberts University is a quick bike ride away. Walk around the corner to RibCrib BBQ & Grill for some hickory-smoked barbecue. Pop across the street to The Fresh Market to grab some fresh meats to throw on the grill at our grill and chill area. 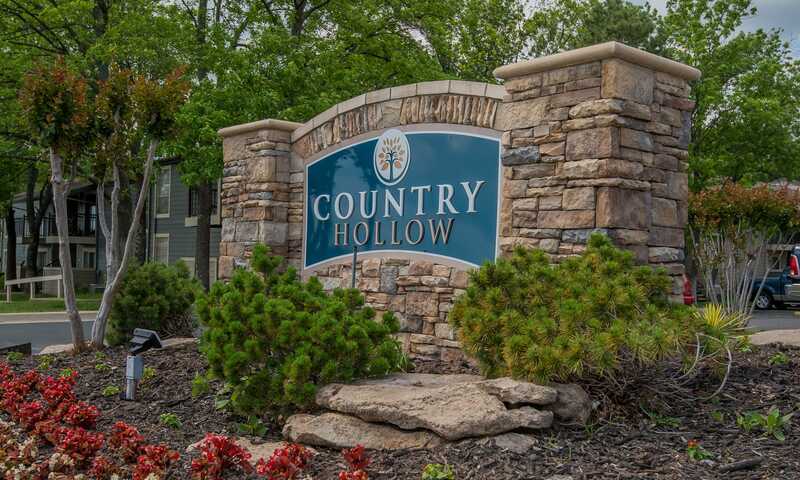 Discover roomy apartment homes that will suit your budget at Country Hollow. 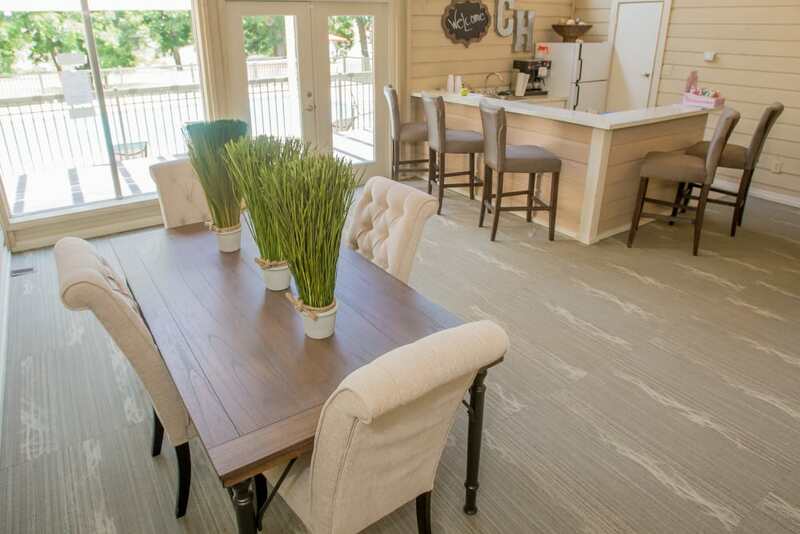 You’ll love our beautiful property and thoughtful floor plans at Country Hollow. Junior, one, and two bedroom apartments were designed for easy living. 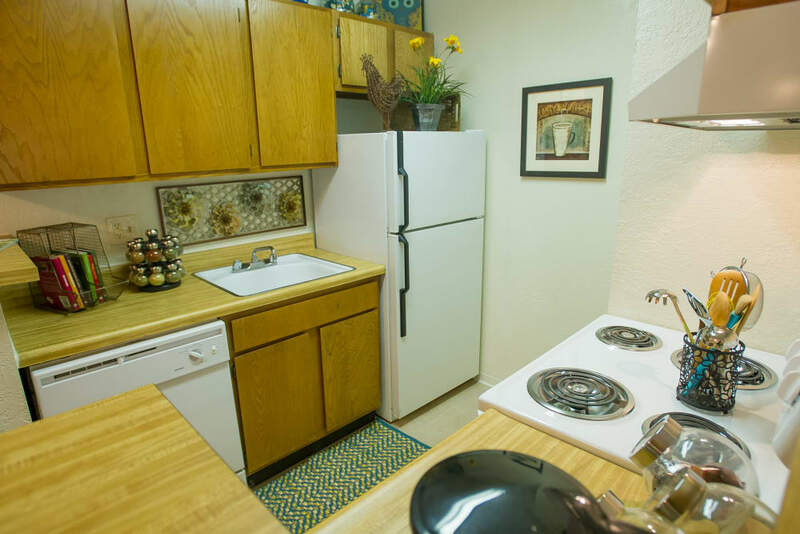 Each apartment features a fully equipped kitchen with a pantry and walk-in closets. Ceiling fans keep you comfortable during the hot summer months. 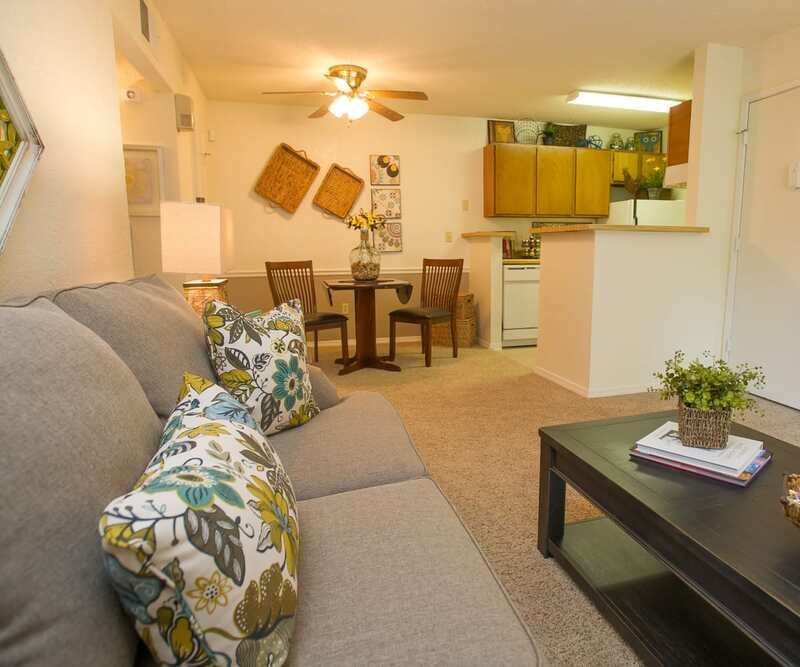 Visit our Floor Plans page to view our cozy layouts. 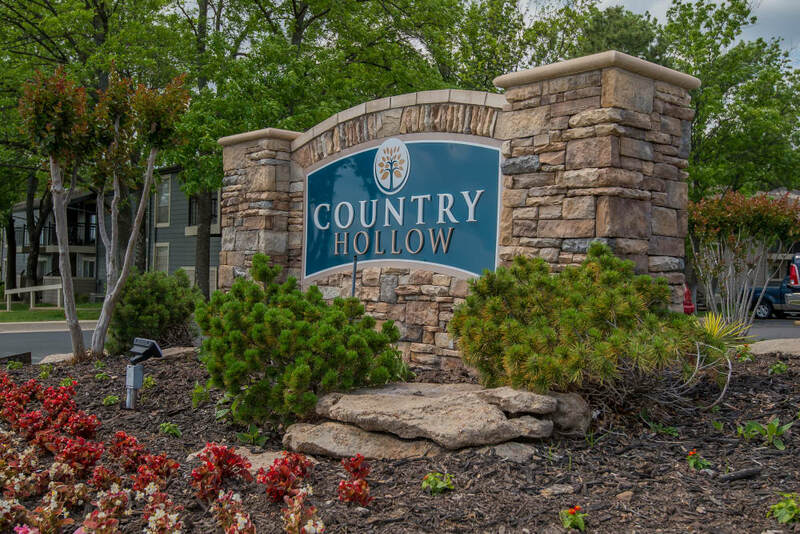 At Country Hollow, you’ll delight in a number of wonderful amenities. Exercise your legs and lungs on our jogging track. Grab your favorite magazine and kick back in a poolside lounge chair. When it’s time for dinner, throw some burgers on one of the grills at our grill and chill area. 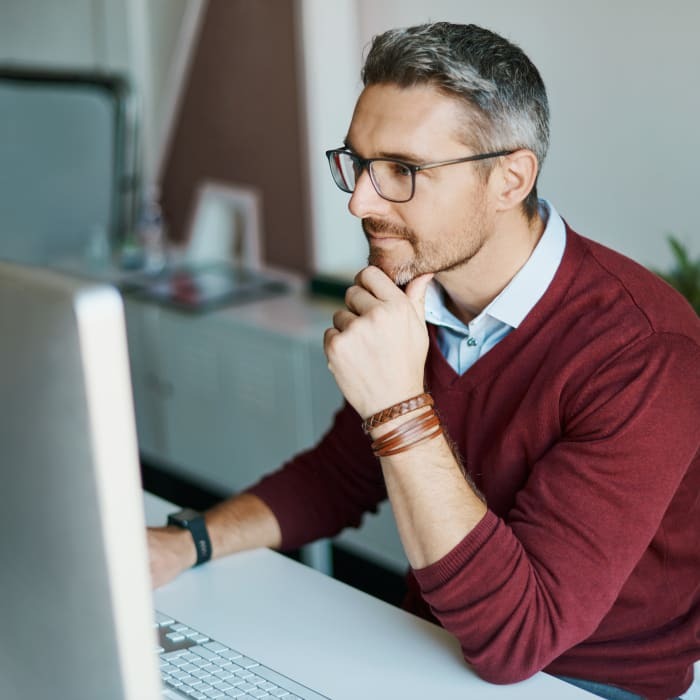 Visit our Amenities page to see all that we have to offer you. Our wonderful South Tulsa community is located in the highly rated Jenks Public School District. Discover excellent shopping and tasty eats close to home. You’ll find a variety of shops from housewares to fashion retailers at Tulsa Hills Shopping Center. Pop into Smashburger between shops for a Classic Smash or grab a wrap and a green smoothie from Tropical Smoothie Cafe.